Emerade is an adrenaline autoinjector, marketed by Bausch and Lomb. It is used as an emergency treatment for anaphylaxis, and is an alternative to EpiPen and Jext. Our secure platform enables you to buy Emerade online. 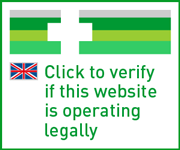 All orders are checked by our registered doctors before being dispensed at our UK pharmacy. Please note this is our page for individual orders. If you are a teacher or staff member ordering Emerade for your school, you will need to do so using our allergy pens for schools service. One shot of Emerade contains 0.3mg (one dose) of the adrenaline epinephrine. It is applied to the outer thigh in response to an anaphylactic reaction. Please note that, due to supply issues, it may take longer than 24 hours for you to receive this item. One shot of Emerade contains 0.5mg (one dose) of the adrenaline epinephrine. It may be applied in cases where someone has previously required two shots of the lower dose (0.3mg) to treat one allergic episode. Emerade is an adrenaline pen used in the event of anaphylaxis, which is a severe life-threatening allergic reaction. It is an intramuscular injection administered to the thigh, and works by preventing the rapid drop in blood pressure associated with anaphylaxis. Marketed by Bausch and Lomb, Emerade is an alternative to EpiPen and Jext available to buy online from our UK pharmacy. There are several different types of allergy, and these can vary in severity. Some people with allergies such as hay fever may develop uncomfortable symptoms, such as a headache or a stuffy nose. Other allergic conditions, such as contact dermatitis, may cause skin irritation. However, severe allergic reactions can cause systemic symptoms and will require medical attention. When these occur, someone’s blood pressure may fall steeply, and they may have swelling of the skin, tongue or lips, hives, difficulty breathing, flushing and loss of consciousness. In some cases, this reaction can be fatal. There are several different triggers which have the capacity to cause a severe allergic reaction. For some, nuts might be a trigger. For others it might be shellfish. Wasp stings are also a possible cause. People with severe allergies should take every precaution possible to avoid coming into contact with these triggers. However, sometimes a person may come into contact with these triggers by accident, so being prepared should the unexpected occur is vital. Emerade contains adrenaline and is used to treat severe allergic reactions. In anaphylaxis, the immune system mistakes the presence of an allergen as a threat, and releases chemicals which lead to the above symptoms, and cause blood pressure to fall. When administered, the active ingredient in Emerade prevents blood vessels from dilating further, and helps to restore bodily functions to normal. Some instances of anaphylactic shock may require the administration of two pens. As such, it is recommended to have access to two pens at all times. When symptoms do not improve or begin to get worse with 15 minutes, then a second pen may need to be used. Following administration, emergency medical attention should be sought immediately. If you have been told by a doctor or nurse to carry an adrenaline pen with you, our pharmacy provides a service where you can buy Emerade online. To start your consultation, take our questionnaire. Once complete, our doctor will review your answers, and issue a prescription if suitable. Treatments are dispensed at our UK pharmacy, before being shipped by next day courier. Please note: the 500mcg injection is only available to those who have been advised to take this dose specifically, or needed to use two pens in the past to treat a single reaction. A doctor or nurse will need to show you how to use this treatment. Make sure you read the instructions carefully, and that you follow your prescriber’s directions as closely as you can. For use in anaphylaxis (severe allergic reactions). Make sure you know which situations Emerade should be used in beforehand. People who may need to use Emerade should have access to it at all times. Ideally, you should have access to two pens, as in some cases two shots may need to be administered 5-15 minutes apart to treat one reaction. 300mcg is the dose used in adults over 60kg. The pen should be administered to the outer thigh. This can be done through clothing if required. To use, remove the needle shield first. Position the pen against the thigh at a 90 degree angle. The pen will click when the dose is inserted into the muscle. If your symptoms have not improved within 15 minutes of the first injection or begin to deteriorate in this time, you may need to apply a second. These instructions are only a guide. Full instructions can be found in the leaflet. If you are unsure of anything to do with this medicine, ask your doctor or pharmacist for help. Once you have used this pen, you should see a healthcare professional as soon as possible. If you develop any side effects afterwards which become serious, see your doctor. Heart problems (irregular and rapid heartbeat, chest pain), high blood pressure, narrowing of the blood vessels, sweating, feeling or being sick, problems breathing, headache, dizziness, weakness, shaking, feeling anxious, hallucinations, fainting, abnormal blood values including raised blood sugar, decreased potassium and increased acid. Inform your prescriber during consultation if you are taking any other medicines at all, whether they are prescription or non-prescription. This is particularly important if you are taking: antidepressants such as tricyclic antidepressants or monoamine oxidase inhibitors (MAO inhibitors); treatments for Parkinson’s disease such as catechol-O-methyl transferase inhibitors (COMT inhibitors); any medication that might increase susceptibility to uneven beats (arrhythmias), such as digitalis and quinidine; alpha and beta blockers; or diabetes treatments. Disclose your medical history to your doctor during consultation. It is important to let your doctor know if you have or have ever had: heart disease, high blood pressure, hyperthyroidism, diabetes, a tumour on the adrenal gland, increased pressure in the eye, low kidney function, prostate disease, low potassium levels or high calcium levels in the blood, or asthma. Speak to your doctor if you are pregnant or breastfeeding and have a severe allergy. If you have a severe allergic reaction and are pregnant, you should still use Emerade as your life and your child’s life may be in danger. If you have a severe allergic reaction, you should not drive or use machines, and seek medical attention right away after using this treatment. You should not drink alcohol after using this pen and seek medical attention immediately. If you have had a severe allergic reaction and needed to use this pen, you should not drive or use machinery and get emergency medical help. Speak to your doctor about this treatment if you are pregnant or trying to become pregnant. Even if you are pregnant, you should still use this pen if you have a severe allergic reaction, as yours and your baby’s life may be at risk. In a safe place, out of the reach of children. We provide a free expiry alert service for adrenaline pens, reminding you when they are due to expire so that you can replace them. You can sign up to this during consultation. This pen contains: adrenaline as tartrate, sodium chloride, sodium metabisulphite (E223), disodium edetate, hydrochloric acid and water for injection. If you are allergic to any of the ingredients listed, you should speak to your doctor to determine in which cases Emerade should be used. No. Adrenaline pens such as Emerade are only available to buy on prescription. Patients who have been diagnosed with a severe allergy will typically be advised to carry a pen at all times, and must be shown how to administer them when required. If you have a severe allergy and a doctor or nurse has not demonstrated to you in person how to use this pen, you should make an appointment with them as soon as possible. Renewing your prescription for allergy pens is simple with our online service. To start your consultation, take our questionnaire. A doctor will review your answers, and once approved, an e-prescription will be sent to our UK pharmacy to be dispensed. Shipping on all orders is made by tracked next-day delivery. In most cases, you’ll receive your treatment in just one working day.